If Roman hotels appear in all a cheap and not always at the level, alternatives abound in the capital to be received otherwise. As always with Rome earlier you book the better is to dig up the bargain, be it an apartment for rent, a pension or a B & B: -The holiday apartments in Rome: a solution should not be overlooked, especially if you go to several (at least 2 people). Compared to a hotel, we found it quickly in price, whether or below. Many sites offer to rent apartments in Rome on the internet: The offers are available by the day or week and therefore apply to any stay. Conveniently located, an apartment provides comfort and unparalleled autonomy you have in your home the way you want, there are no meal times, and you can even cook to avoid eating out systematically ... your budget will thank you! -PENSIONS and B & B if pensions are increasingly rare in Rome, this is not the case of the B & B. Unlike an apartment you have the right to a minimum of services with a B & B, the first of them being the breakfast. The welcome and respect with the hosts take pride of place in the success of the stay; a more personal side in a hotel that attracts more and more people. Budget level, prices of a Roman B & B is close to those of the hotels, but bargains exist. To you to search the deals on the internet, I do not miss! -The religious convents and Accommodation: It is possible to stay in a convent in Rome (with the Holy See in the area, it might be expected), at prices affordable after all compared to the general offer. convents in places are in high demand, inflow of pilgrims and tourists oblige: do not hesitate to book well in advance. At first, Rome is not really a destination for budget ... just like many European capitals, the cost of living is high in the 'eternal city', and d all the more when we stayed there as a tourist! However, all is not lost, even for those whose finances are ric-rac. They know anyway the solution: hostels! Even if we can not talk small price, a dorm bed will always cost much cheaper than a double room in a 2 star hotel. In spring and during the summer season, limited budgets may even turn to campsites that they too fall into the category '' cheap ''. -The hostel: there is only one youth hostel affiliated with Hostelling International (HI) in Rome, or more precisely in these surroundings. The latter is located a few kilometers east of the capital, in the green area of ​​Zagoralo. An eccentric situation that does not do the trick short stays. To reach Rome, towards Termini Station by train (half an hour) or bus. From 20 euros per night in a dormitory. -The private hostels: for once, the hostels are numerous in Rome. The fact that they are not affiliated to HI is not a nuisance per se, but it means they are not held to any standard ... So, the quality of services does not always follow! Some addresses are correct, however, on condition of not being too picky about comfort. Count on average 25 euros a night in a dormitory in the Roman hostels. This is not really given, but they are the least expensive hosting solution while enjoying a good situation in the capital. Needless to say, the hostels have no trouble doing the full, especially during the season: avoid landing at the last minute and book to ensure a place. -The camping: a valid solution if you have a little time before you, as the Roman campsites are off on the outskirts of the city. Besides the Campsites with bungalows showing 4 stars on the clock, the cheapest rates for a location 2 persons with tent around 25 euros. We toured the lodging solutions in Rome, it remains to determine which area of ​​the capital you want to sleep. Leaving aside the periphery and concentrate on the central areas: tourism Rome is not so extensive as this, with a good situation, most trips can be done on foot and if necessary using the bus subways. Small neighborhood typology to stay in Rome: -The historic center: Piazza Navona to the Trevi Fountain through the area of ​​the Colosseum and the Roman Forum, the situation is ideal safe. Staying in the historic center, the move will be mainly on foot, and you enjoy the unique setting of Rome by day and night. historic sites, museums and restaurants are within reach. The downside: hotels and apartments display rates rather high ... -via del Corso - Piazza di Spagna in the city center, with chic boutiques, restaurants, major sights of Rome easily accessible ... Restricted to large budgets. -Villa Borghese around the large Roman park, lovers of high-end luxury hotels will certainly like. 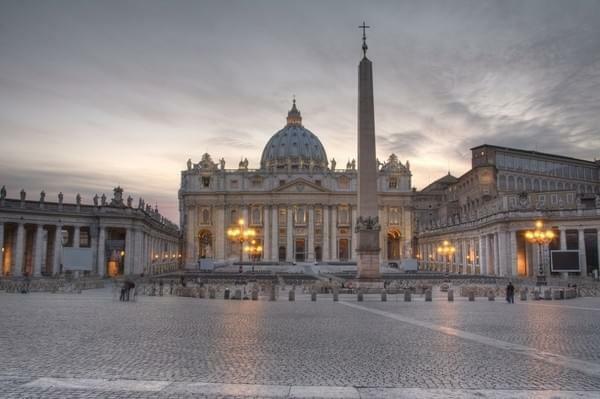 -Vatican: many hotels are located around the Vatican. The historic center is accessible by foot, but the neighborhood is not the liveliest of Rome. Prices are in the average Roman (rather expensive so). -Trastevere: an eccentric hair on the right bank of the Tiber, Trastevere is none the less one of the friendliest of all the capital. Some monuments, a lively market streets where pleasant trattoria succeed, bars to prolong the evenings. Affordable addresses also. -Gare Termini: a convenient location as Termini station is connected to the airport and serves as the terminus for many bus lines. The neighborhood is nothing charming well, but the historic center is accessible on foot; it is also here that we find the cheapest addresses.